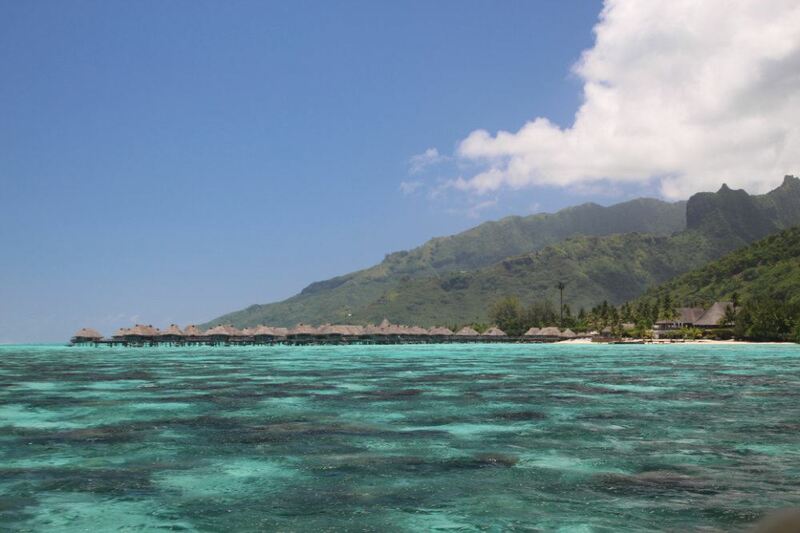 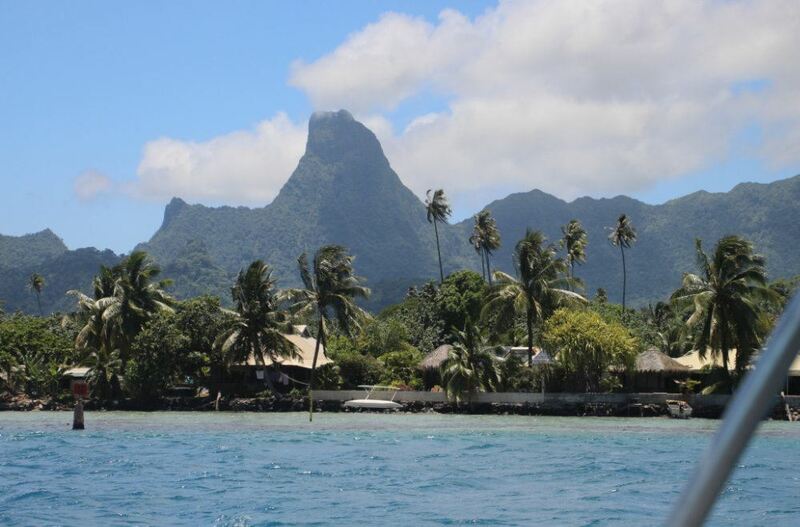 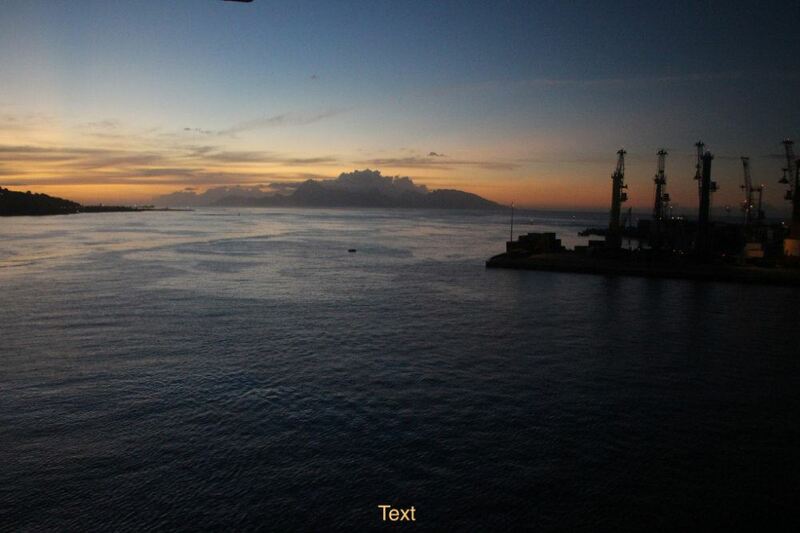 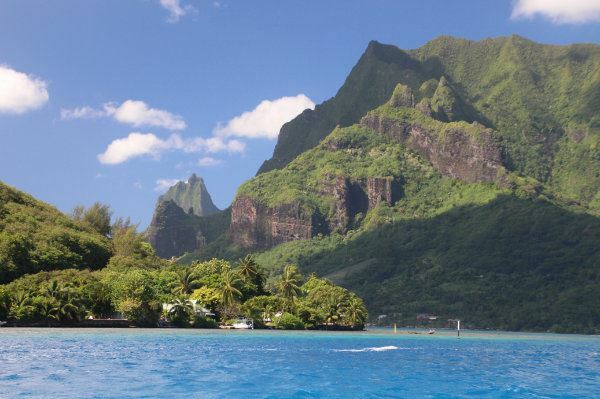 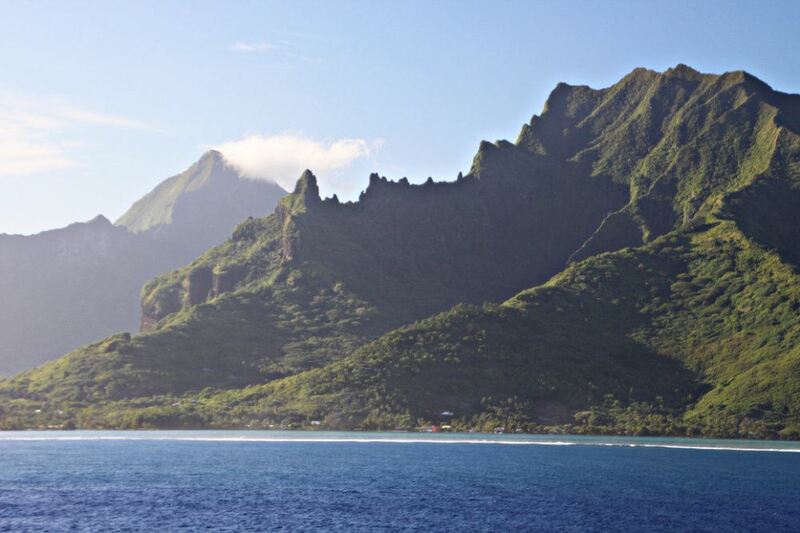 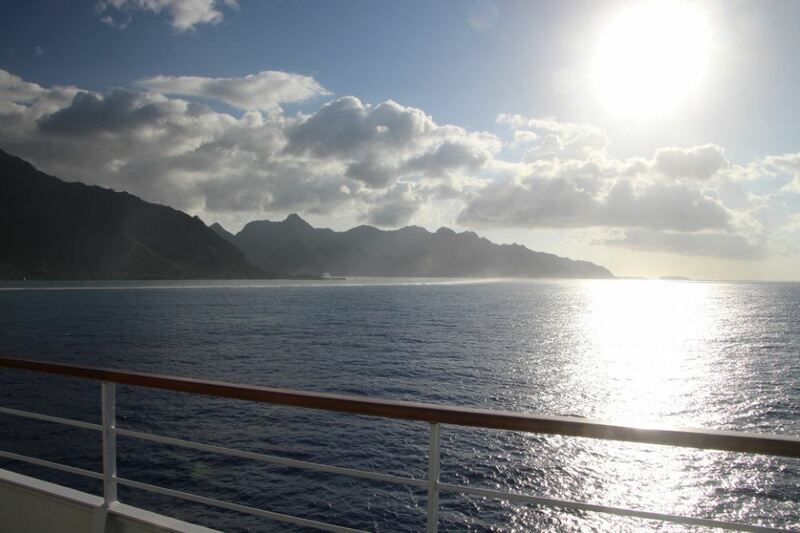 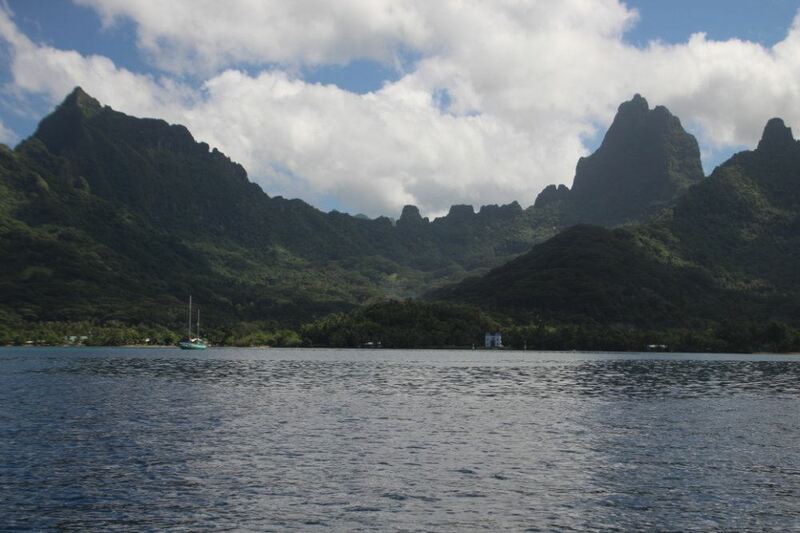 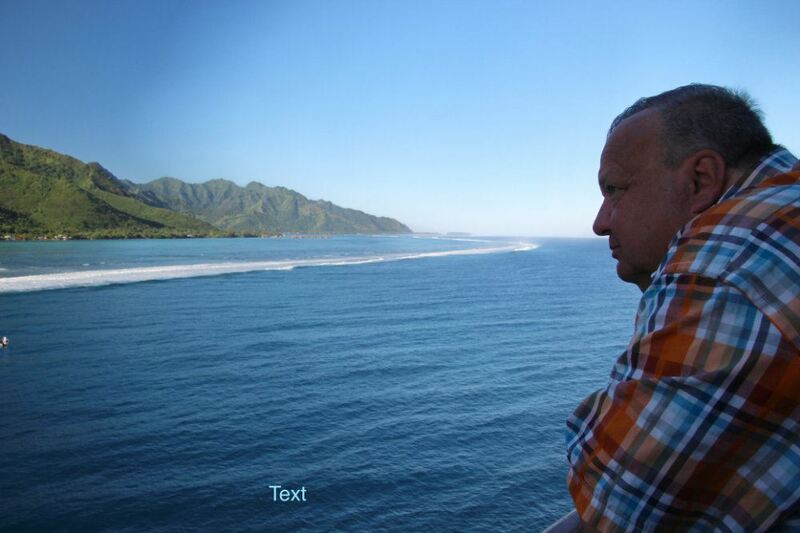 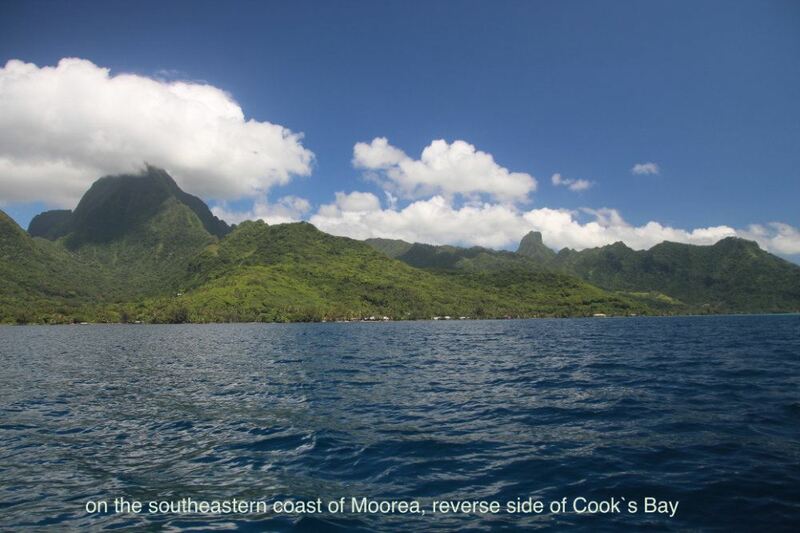 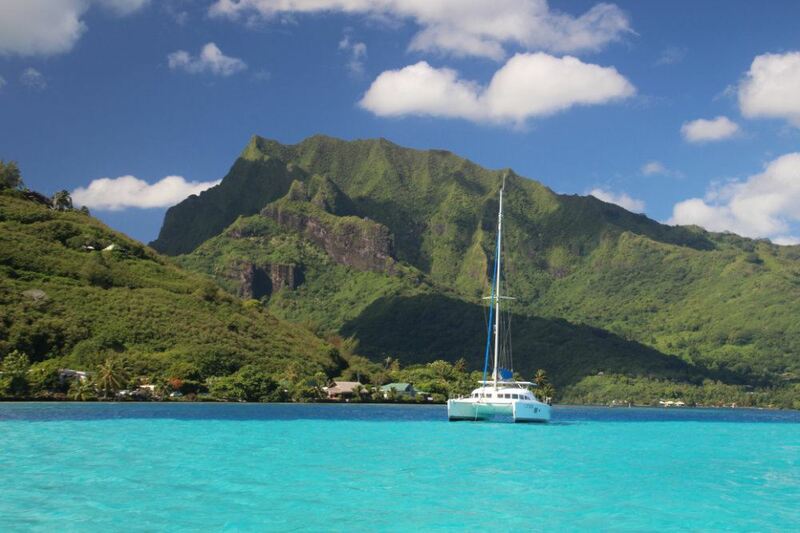 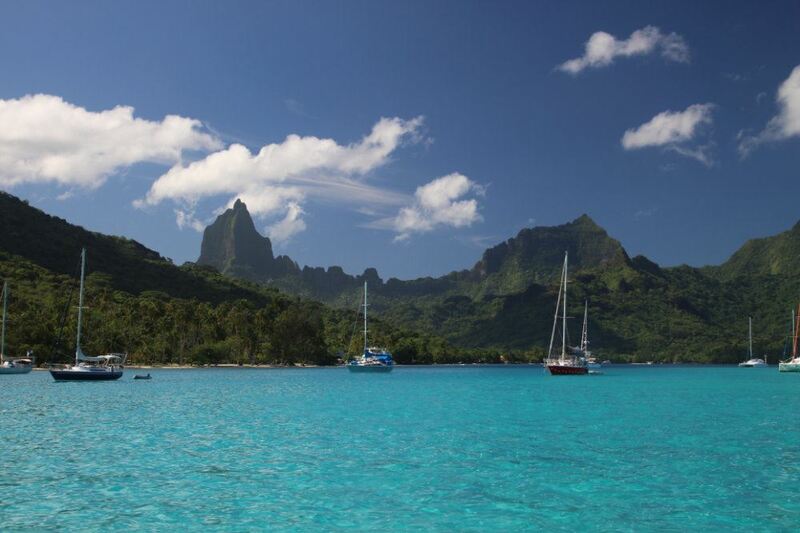 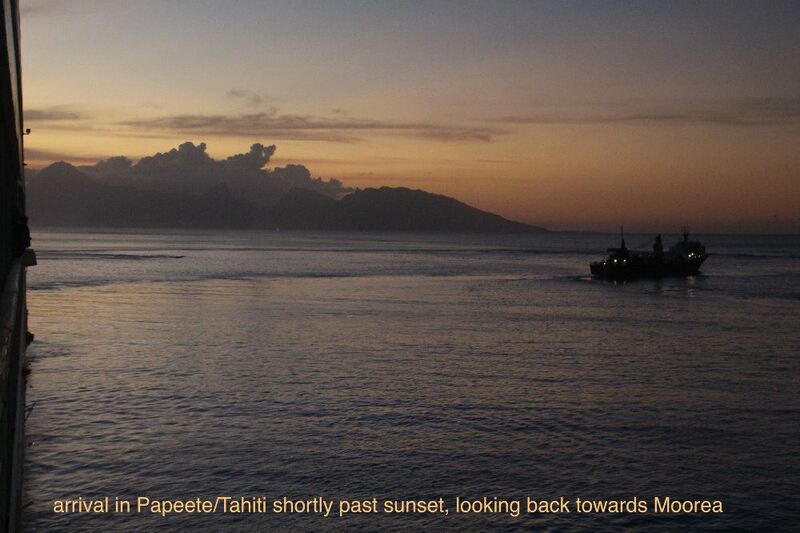 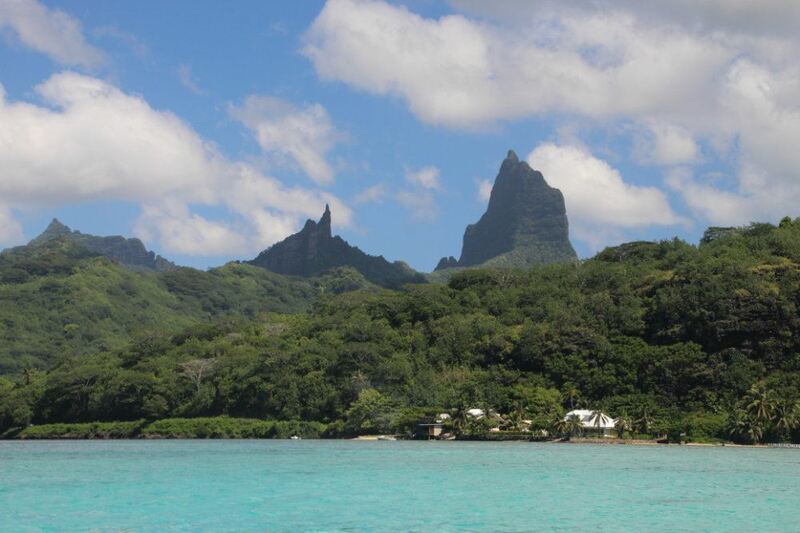 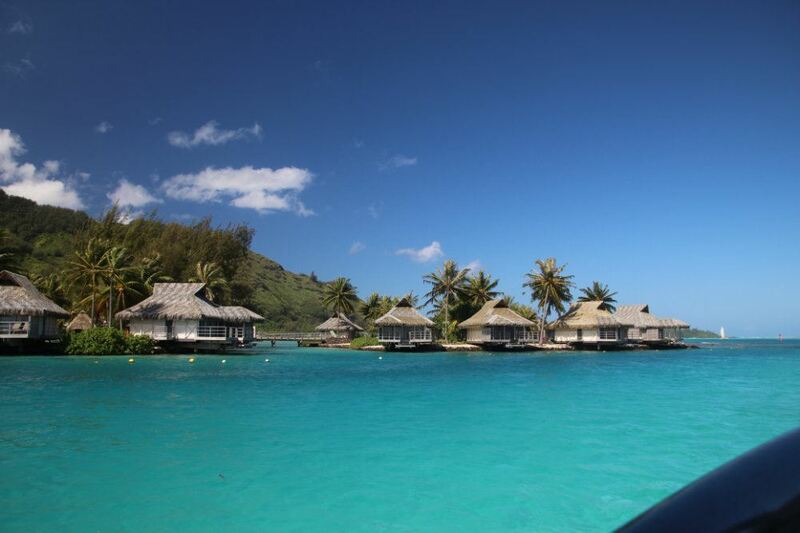 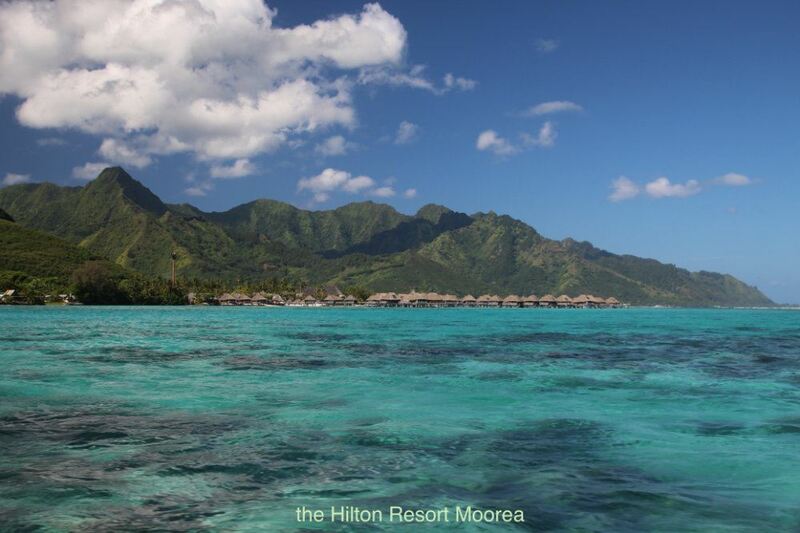 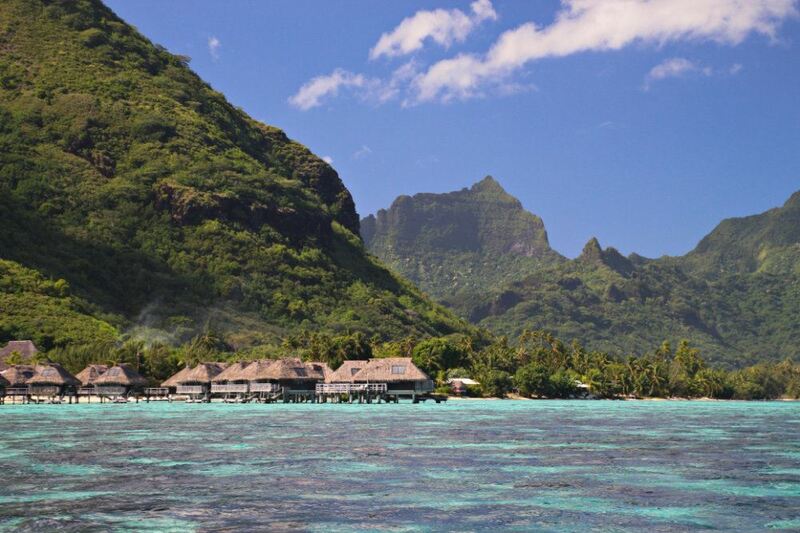 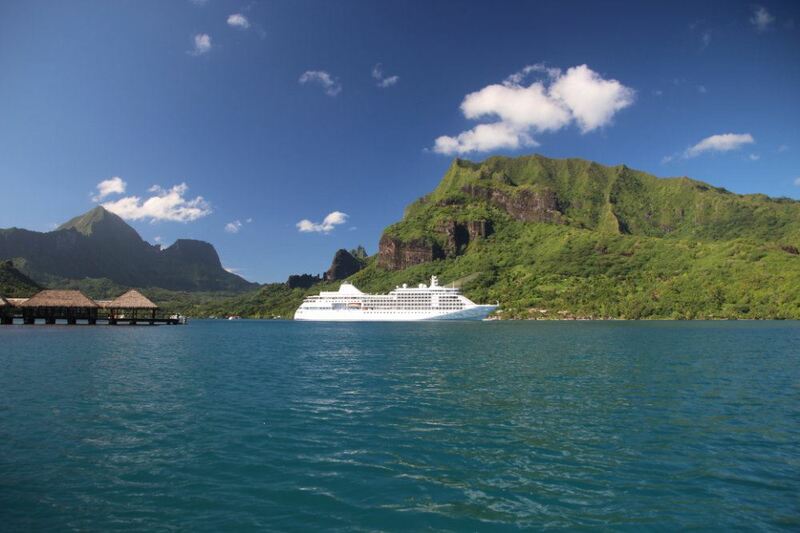 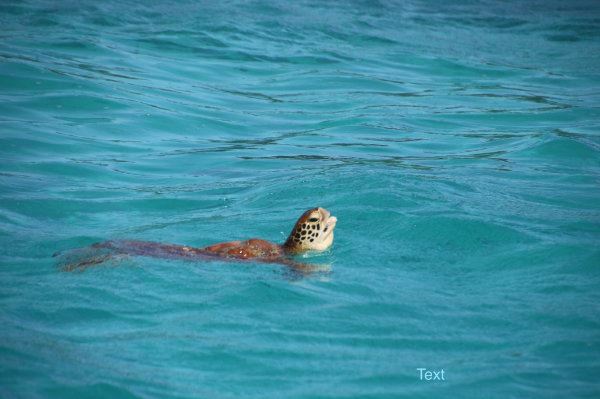 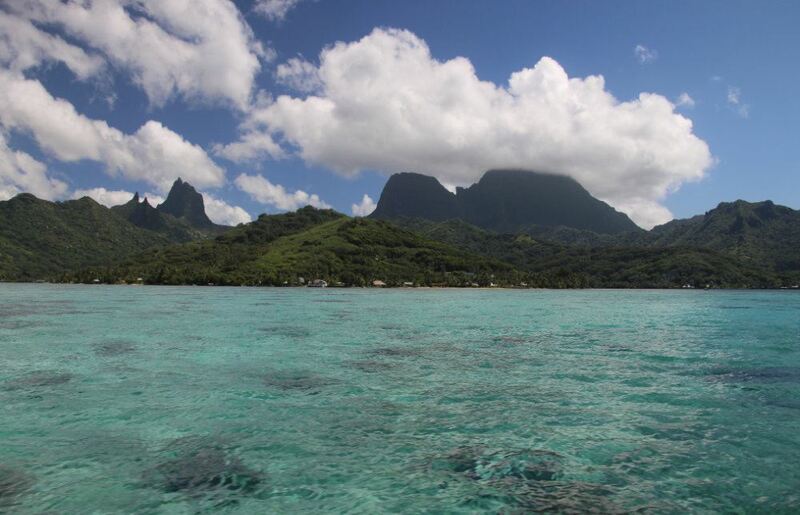 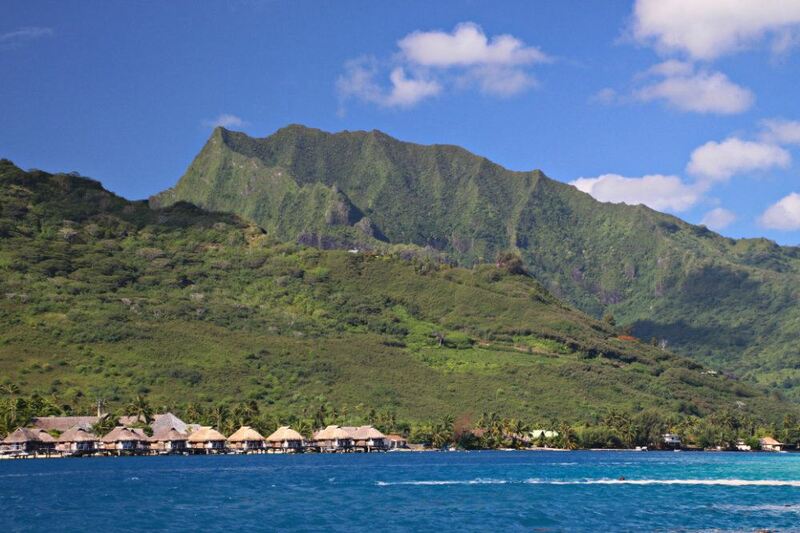 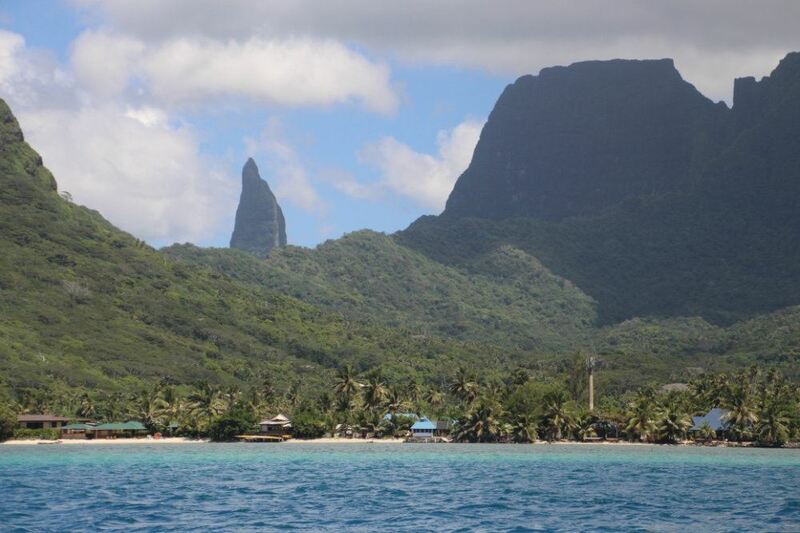 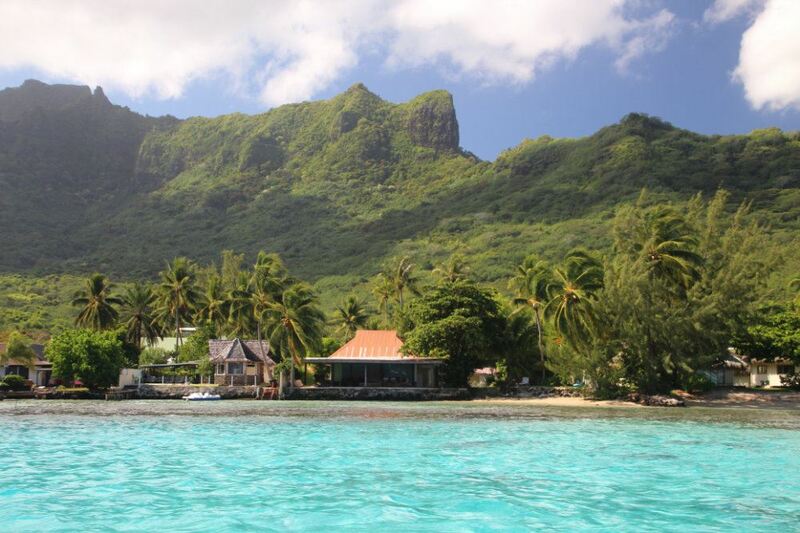 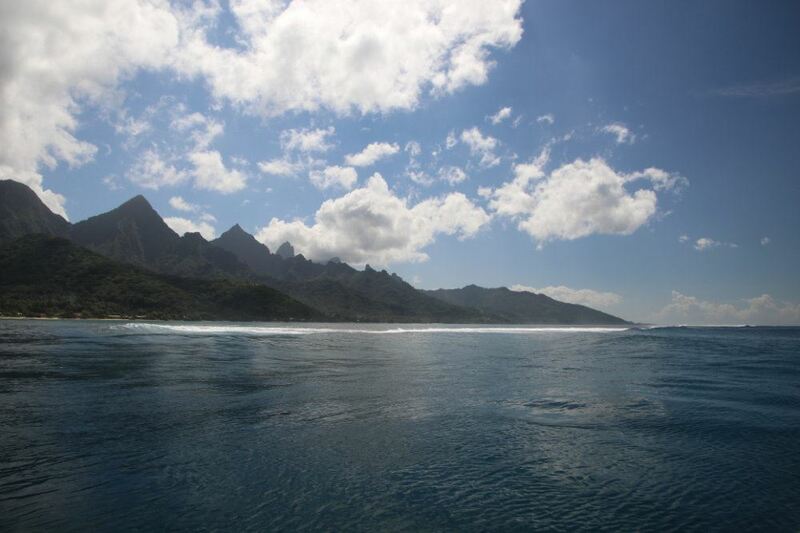 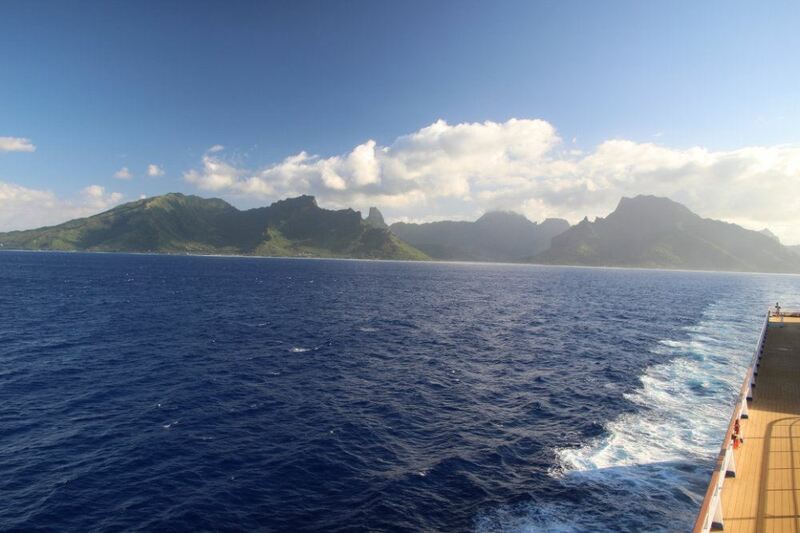 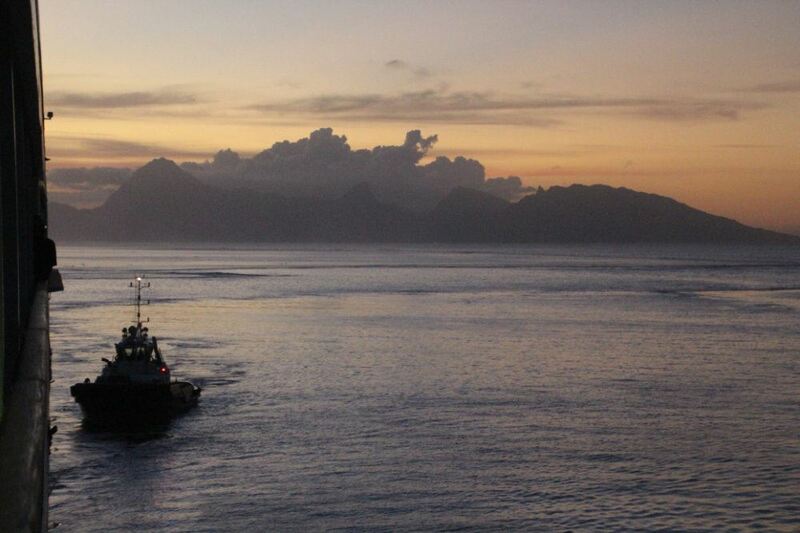 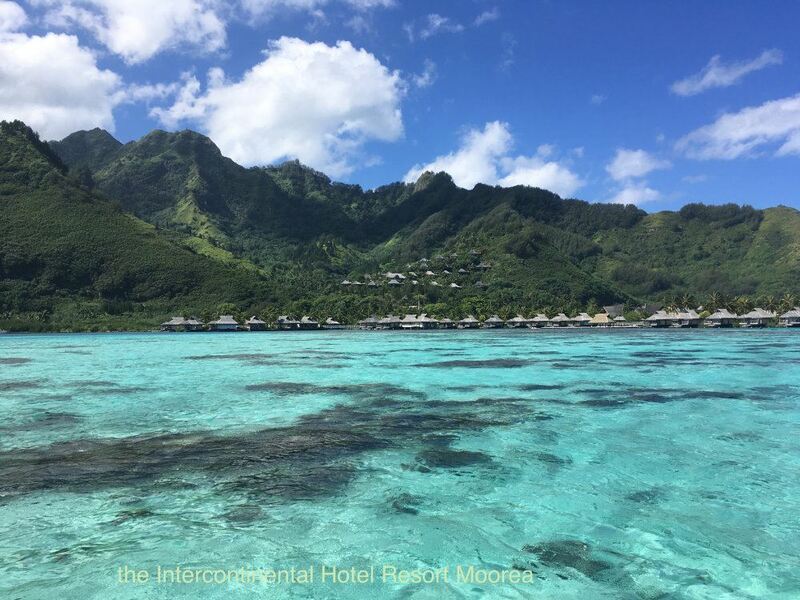 Approaching Moorea from the ocean always is a stunning experience. 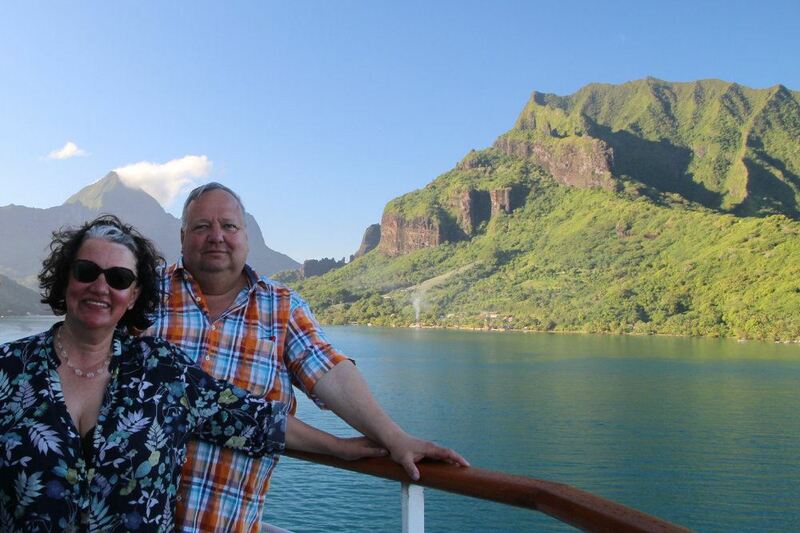 When we arrived there in the early morning of January 17th, 2019, we were fortunate with perfect weather conditions and were able to enjoy the picturesque views of the volcanic mountains in front of us. 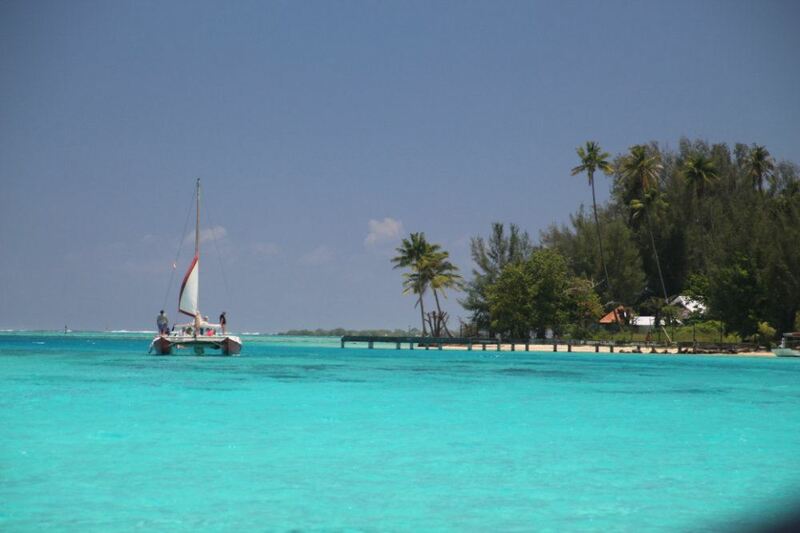 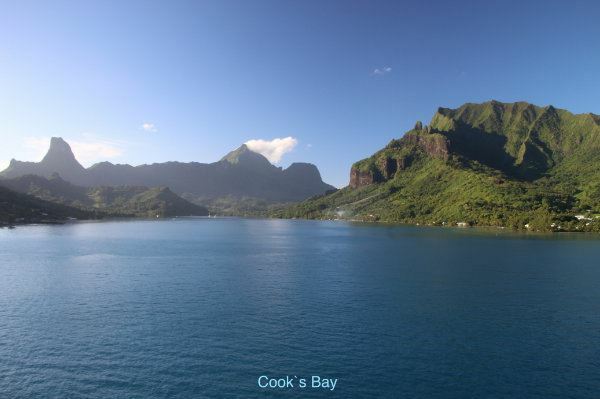 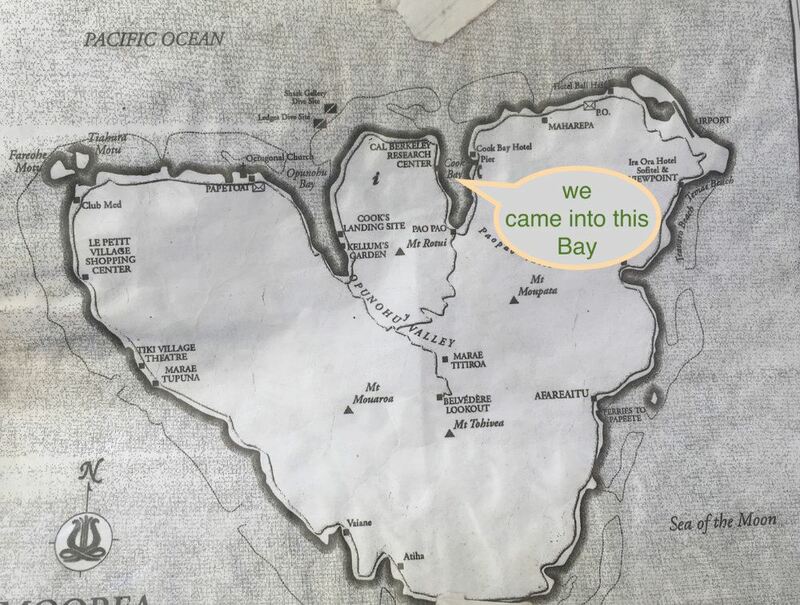 We sailed thru a narrow pass in the reef, which is surrounding all of the island, and anchored in Cook`s Bay on the northern side of the island. 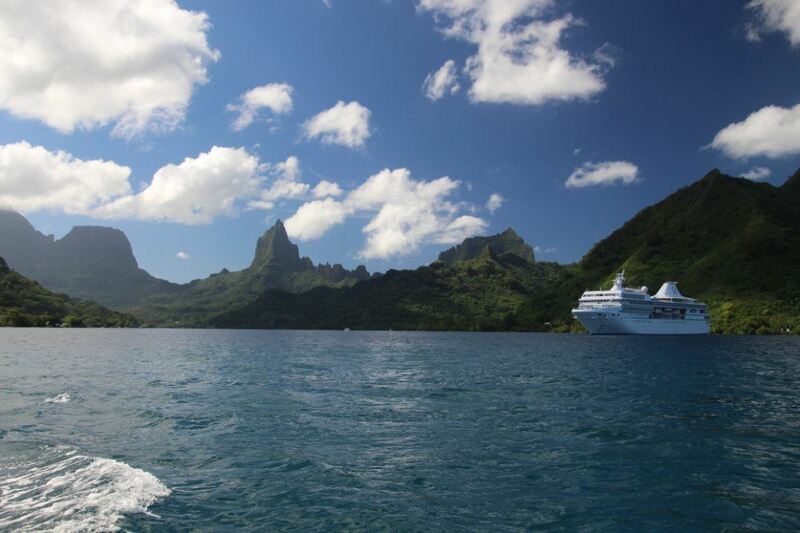 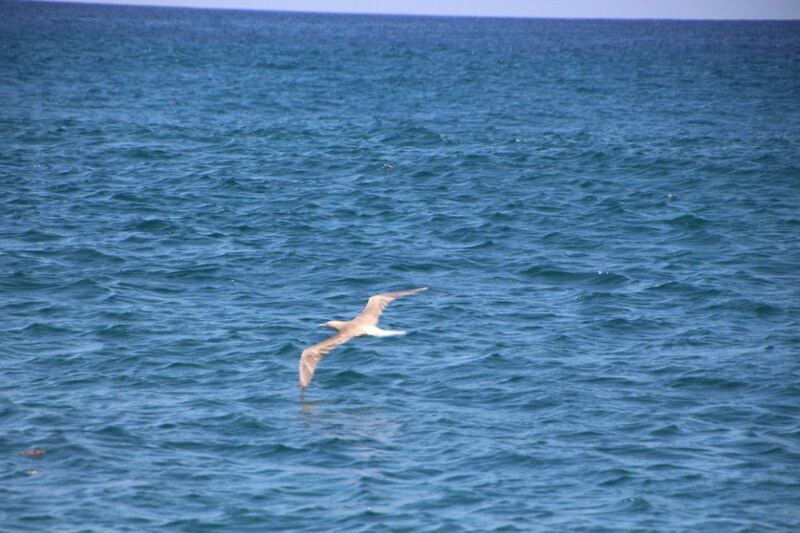 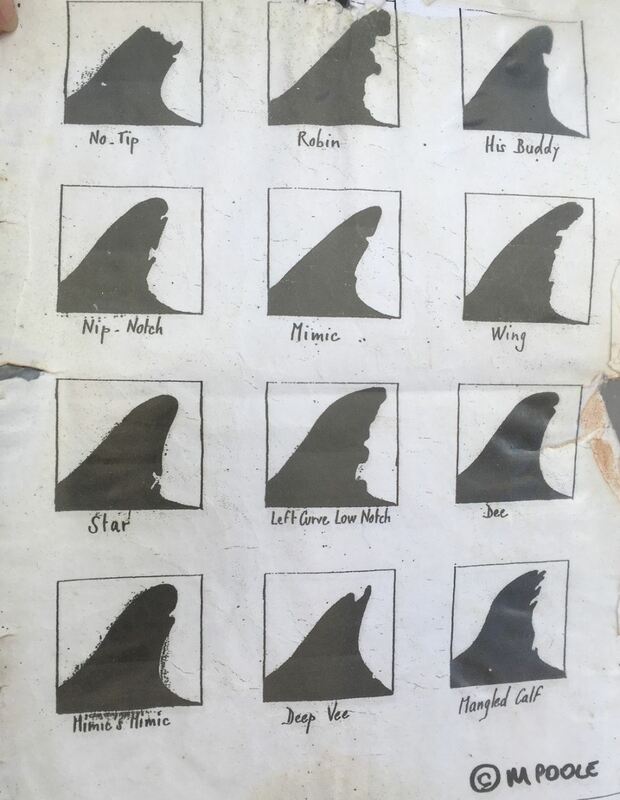 I had decided to join a boat-based eco-tour and go on a dolphin watch experience. 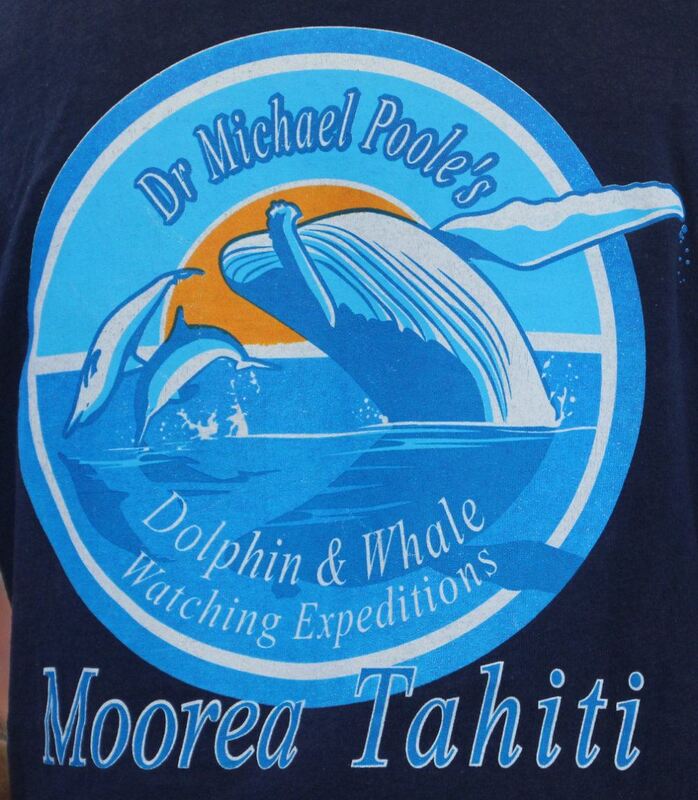 Dr. Michael Poole, who is working as a scientist for the Marine Mammal Research Program at the Island Research Center & Environmental Observatory, was our guide and told us many interesting things about the Spinner-Dolphins of Moorea and dolphins & whales in general, which live in the French Polynesian waters. 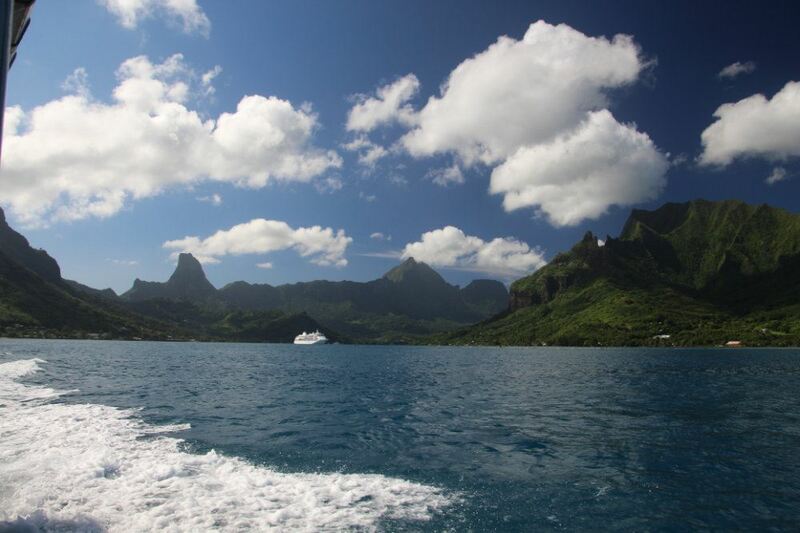 Our boat headed towards every pass between the reef, where dolphins frequently are seen, but unfortunately, we didn’t even see one. 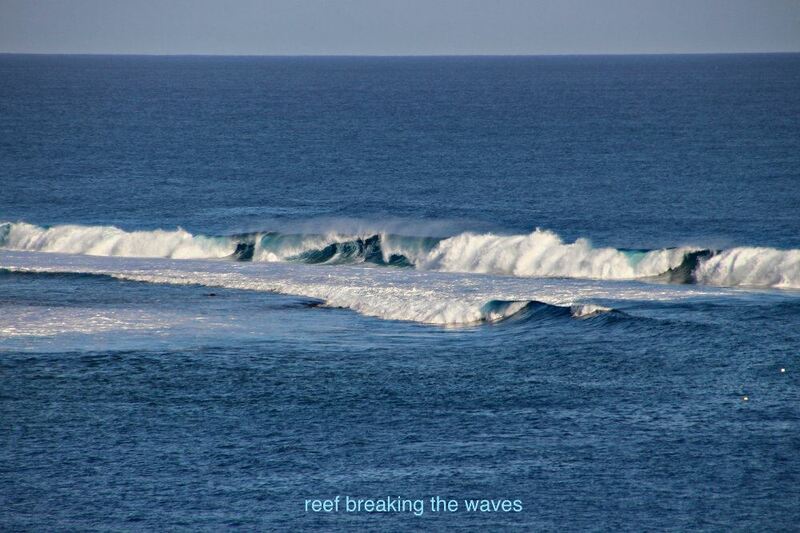 The dolphins usually enjoy „jumping“ thru the waves - just like we had seen when cruising out thru the pass in Rangiroa before. 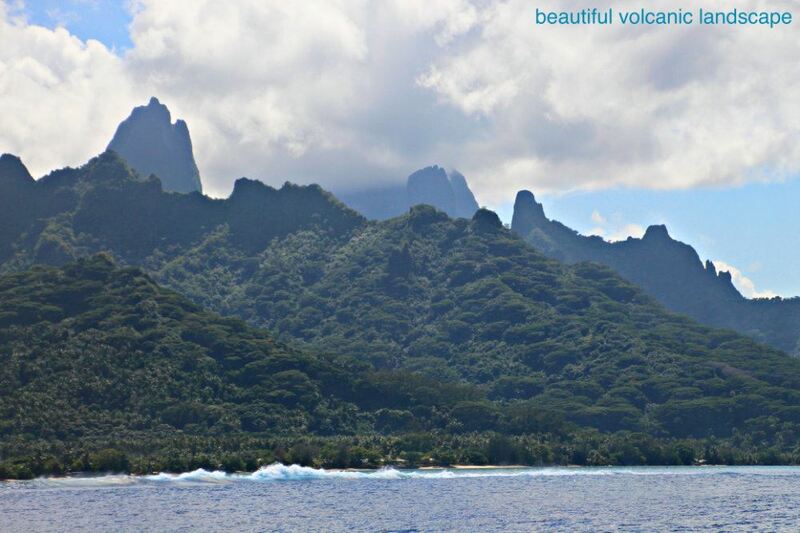 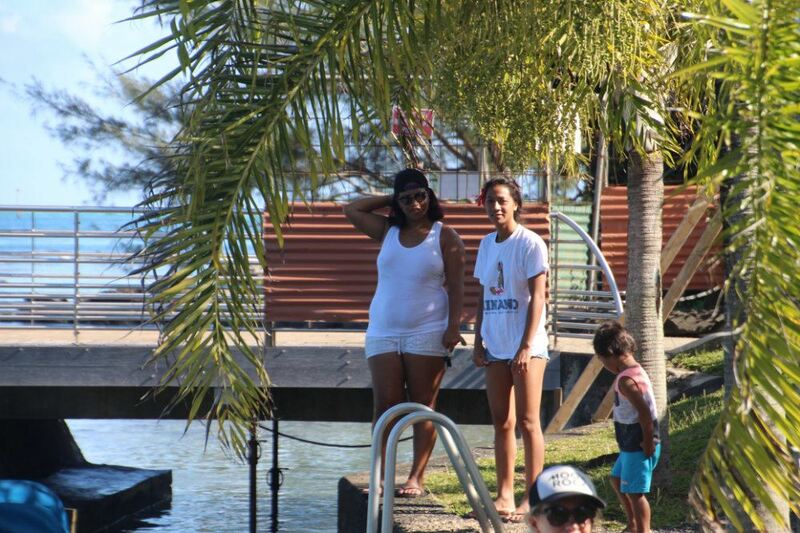 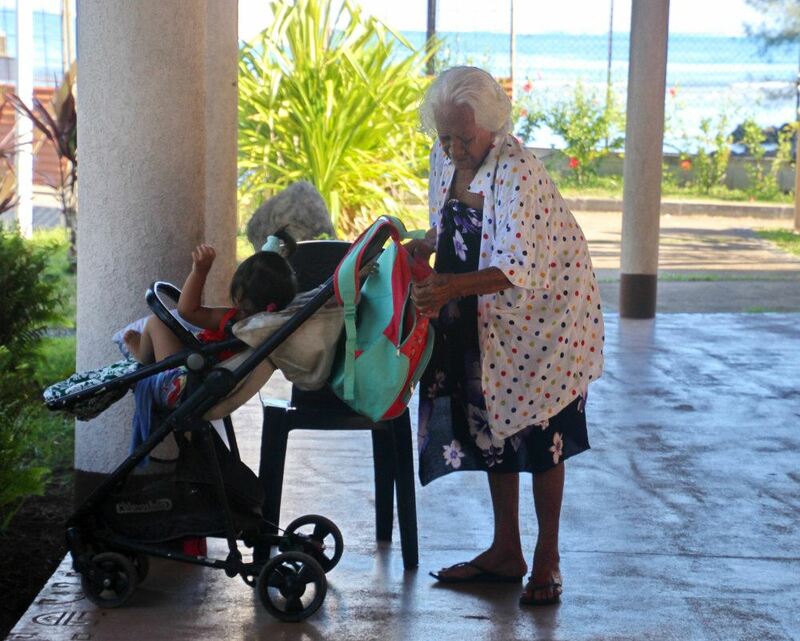 Nevertheless, I enjoyed this tour very much, cause it took us almost all around this beautiful island - for me the most beautiful one in the South Pacific. 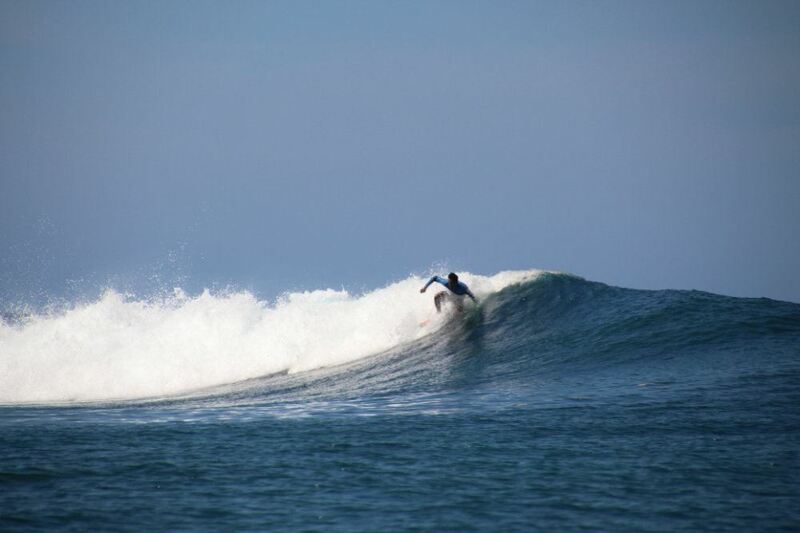 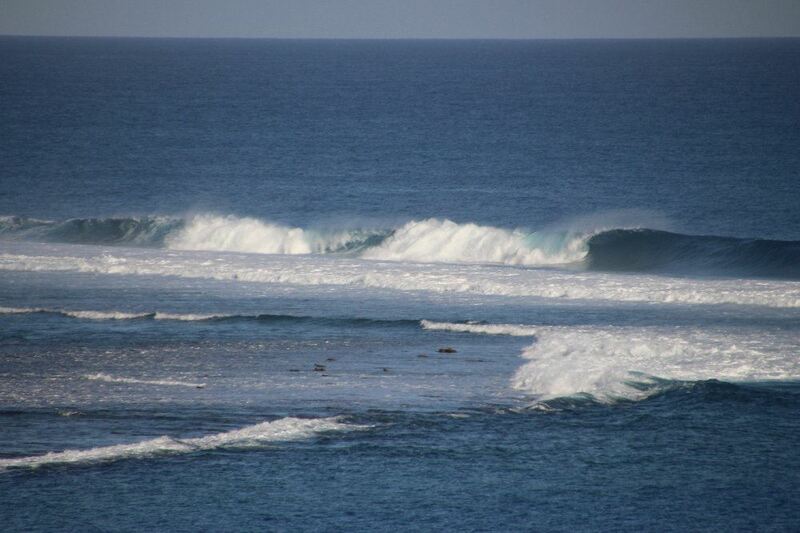 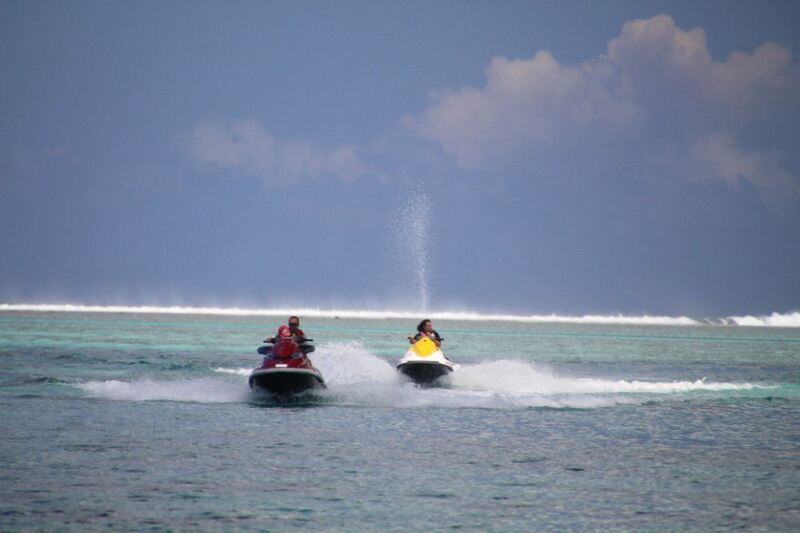 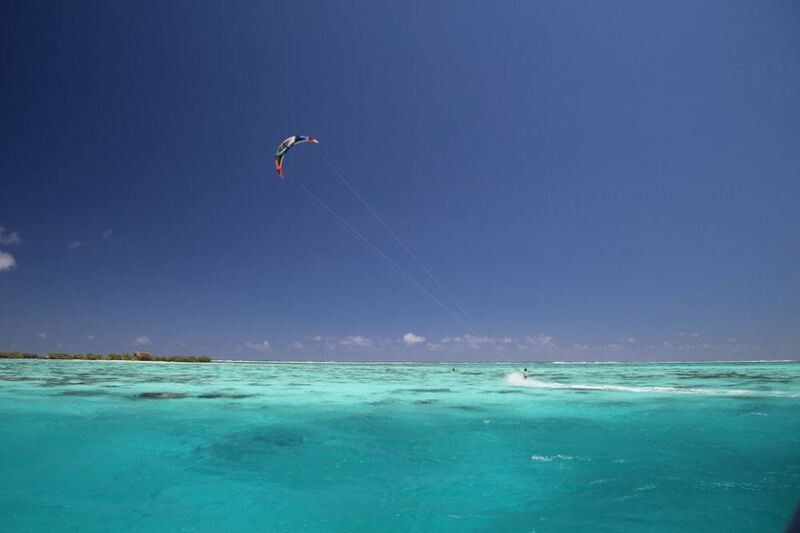 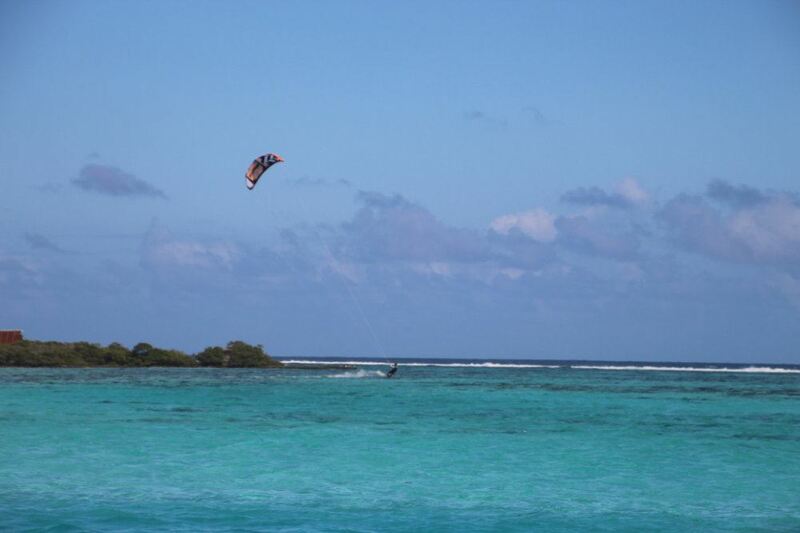 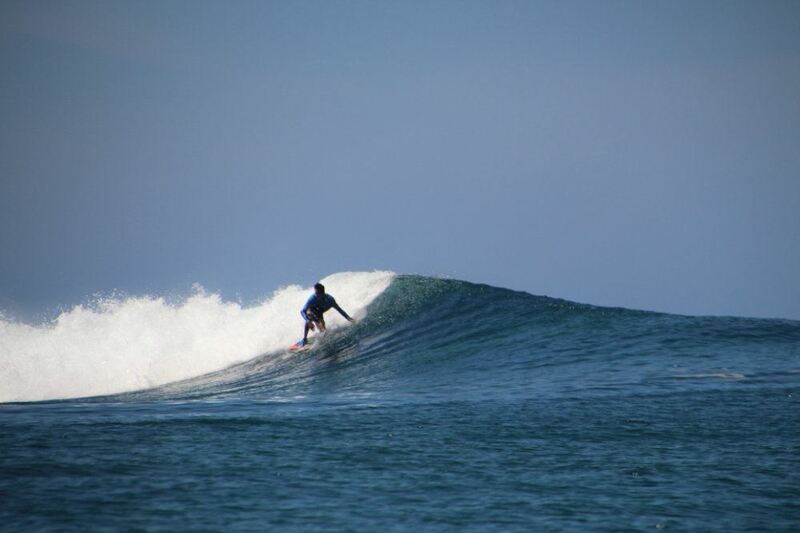 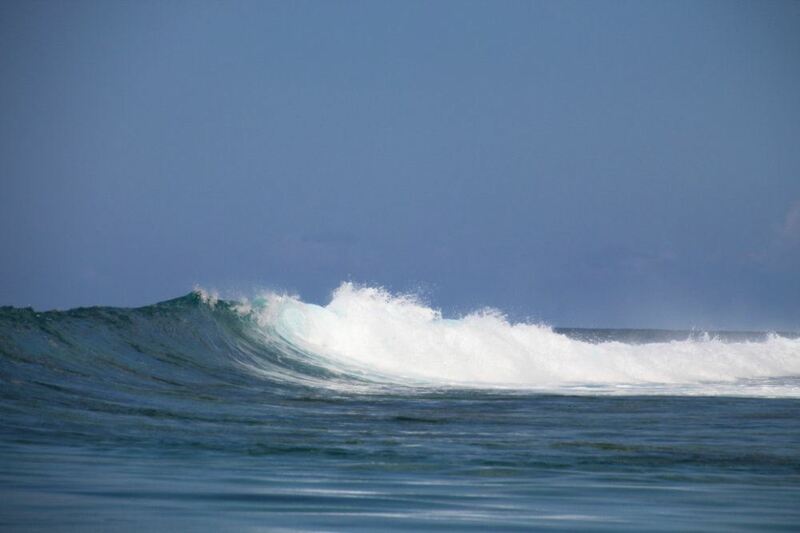 We came as far as to the southeastern side and then returned westbound back to the northern side, and we saw people enjoying surfing the waves at the reef, snorkeling in the clear turquoise waters inside the reef, some noisy jet-skiers as well as flying by kite surfers. 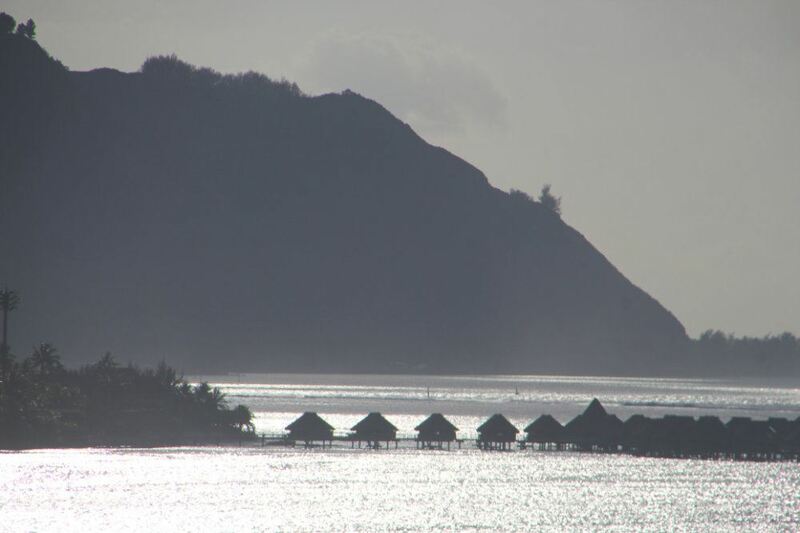 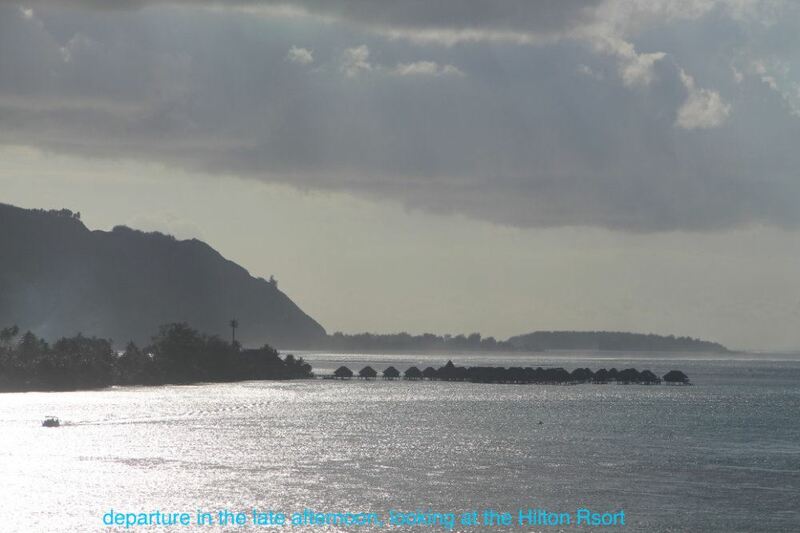 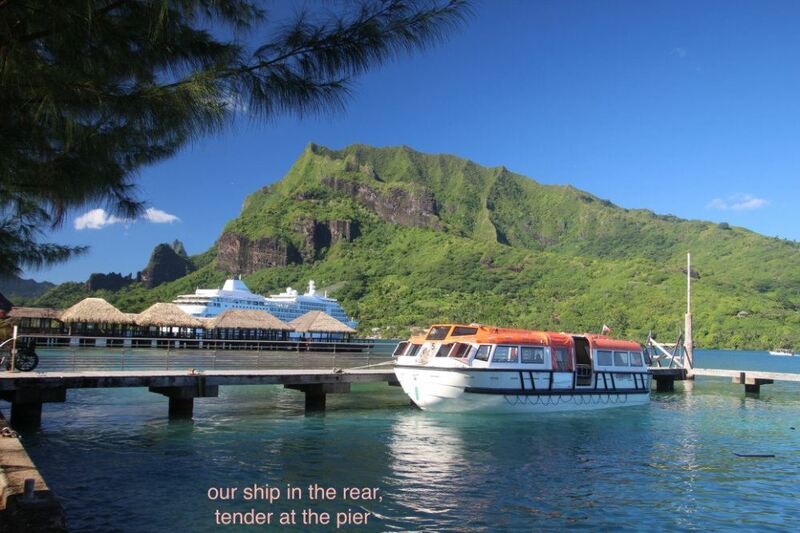 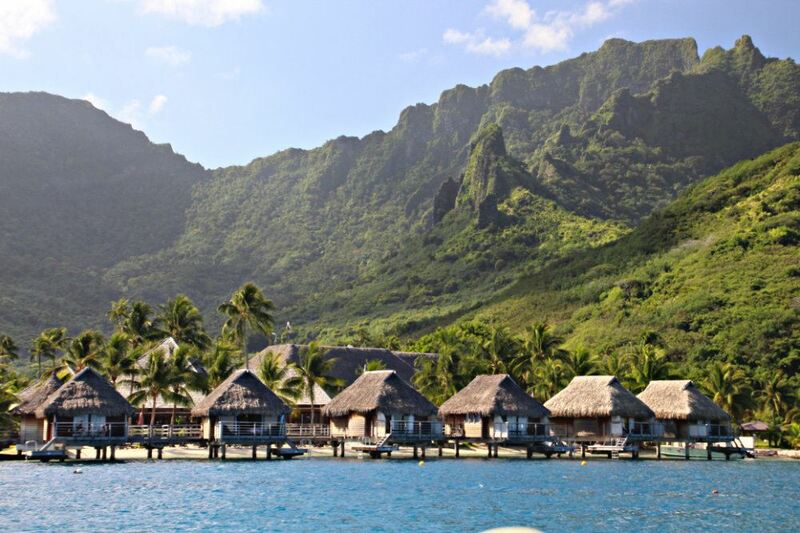 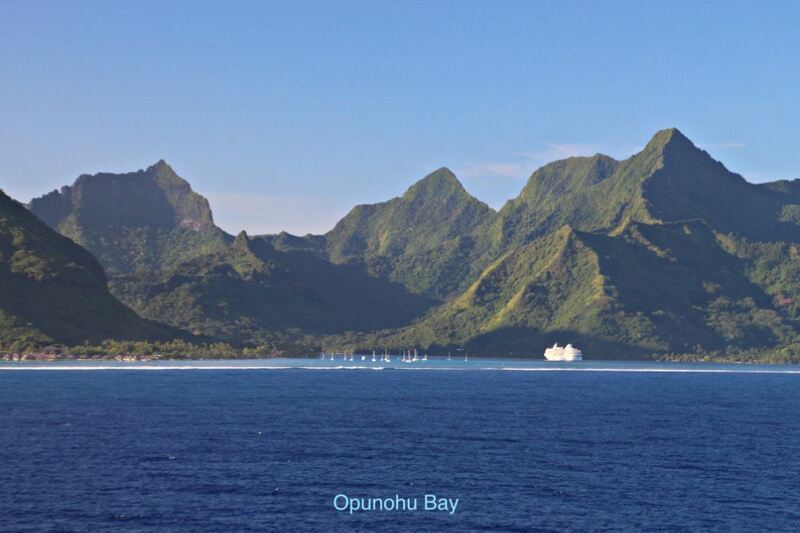 In the late afternoon, our ship left Moorea and cruised over to nearby Tahiti, where we docked in the port of Papeete and stayed over night. 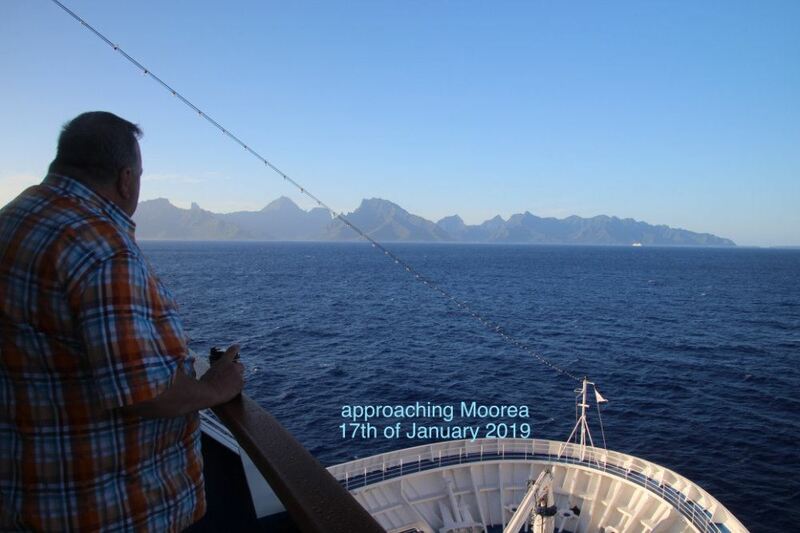 Michael and I didn`didn’t fell like going out in this busy city, but enjoyed a wonderful Dinner on the open Pool Deck, with the moon shining above us.